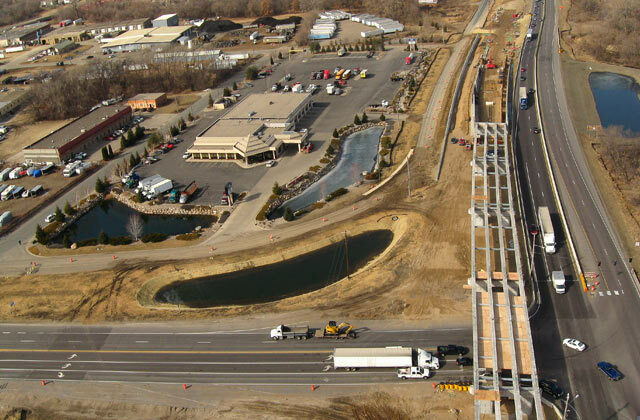 This $19 million project designed and constructed the TH 13/101 interchange in Savage, MN. It included the design and construction of a new eastbound bridge to grade separate the intersection. Project challenges included a tight project footprint due to ROW and wetland constraints, and an artesian condition and associated environmental concerns throughout the project. Alliant was the lead designer, provided project management, and designed the roadways, hydraulics, utilities, MOT, construction staging, traffic signals, roadway lighting, marking, and permanent signing.